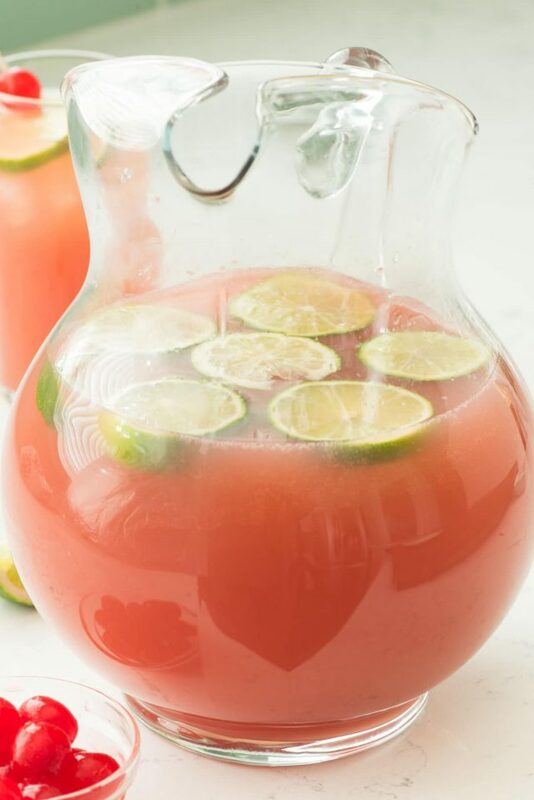 Seabreeze Cocktail Punch – this easy cocktail recipe has just three ingredients: vodka, grapefruit, and cranberry juice. It’s the perfect summer punch recipe and leaves you feeling refreshed. Until recently, I was scared of grapefruit. I know, that sounds weird, doesn’t it? To be scared of a fruit? But really, I’d never had it and never had the urge to try it. I’m not a fan of eating oranges (the texture weirds me out) so I couldn’t imagine myself eating a grapefruit. 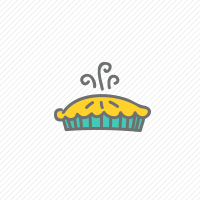 I just assumed it would be tart and unappetizing and I wouldn’t like the flavor. Sometimes my pickiness and fear of trying new things from childhood rears it’s ugly head (who am I kidding; it’s not sometimes, it’s all the time) and I miss out on all the flavors I thought I hated. Like, say lemon desserts…or avocado. I thought I hated both of those things until I started food blogging and tried them and now I’m addicted to both. A few months ago when I was in Wisconsin, my friend Cathy made Paloma for us to drink. A paloma is a mix of tequila, grapefruit juice, and grapefruit soda. They were SO good that I started to change my tune about grapefruit flavors. Now I can’t wait to try Becky’s broiled grapefruit margarita recipe and Laura’s grapefruit mojitos! Are you surprised that it was a cocktail that got me to change my tune? ? Then, last month I made a Salty Dog Cocktail, which is grapefruit with vodka and a salted rim. I had grapefruit juice leftover (I buy Simply Grapefruit Juice, but you can get your favorite brand) and did some googling to find out what I could make to use it up. 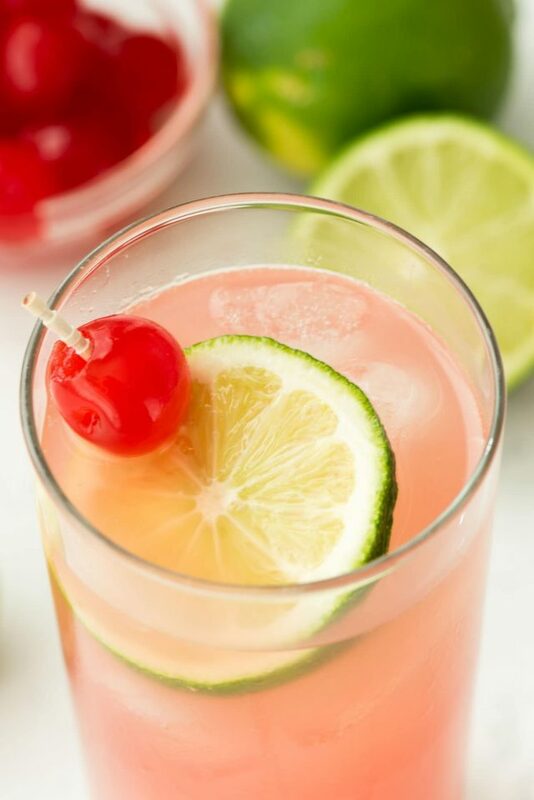 One of the drink recipes I came across was a Seabreeze Cocktail, made with lime, cranberry, grapefruit, and vodka. I love all 4 of those things, plus the name “seabreeze” makes me think of the beach. I like the beach. As I usually do, I turned a basic cocktail into a punch. I like to give directions for how to make a single cocktail, because hey, some days you just need a pick me up after work. But I’m betting that most people are making cocktails at a party and no one wants to be a bartender and mix drinks all night and miss out on all the fun. Enter: Cocktail PUNCH recipes that water a crowd. The mix of the grapefruit juice and cranberry is very refreshing. They’re both a bit tart, but there is an underlying sweetness in the cranberry juice that adds a ton of flavor. I’m not a huge fan of overly sweet drinks so this is perfect for me. If you want to add a little sweetness, try using some lemon lime soda, or even adding a dash of simple syrup. Not only does this Seabreeze cocktail punch taste good and refreshing, but it’s so pretty, too. It makes me think of the beach and because it’s summer, I just want to be at one, sipping this cocktail and reading a book, don’t you? 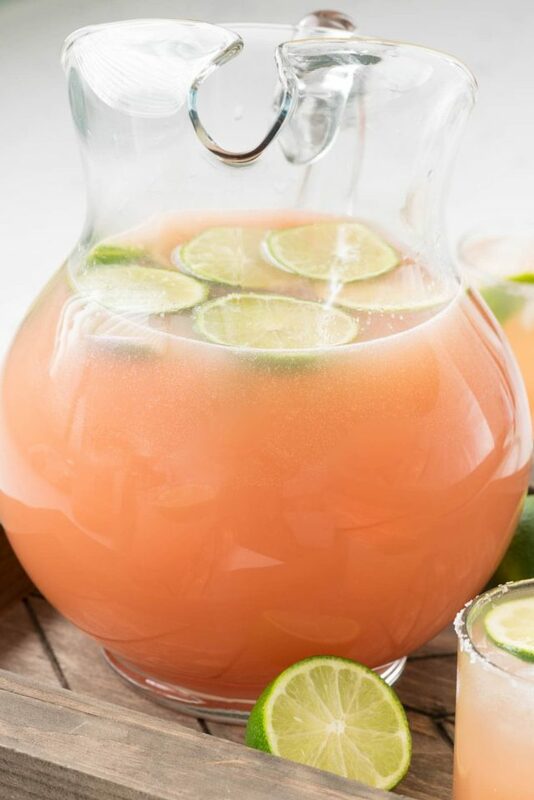 Seabreeze Cocktail Punch - this easy cocktail recipe has just three ingredients: vodka, grapefruit, and cranberry juice. It's the perfect summer punch recipe and leaves you feeling refreshed. To make one cocktail: use a shaker to shake together juice, vodka, and cranberry juice. Pour over ice and garnish with lime and cherry. 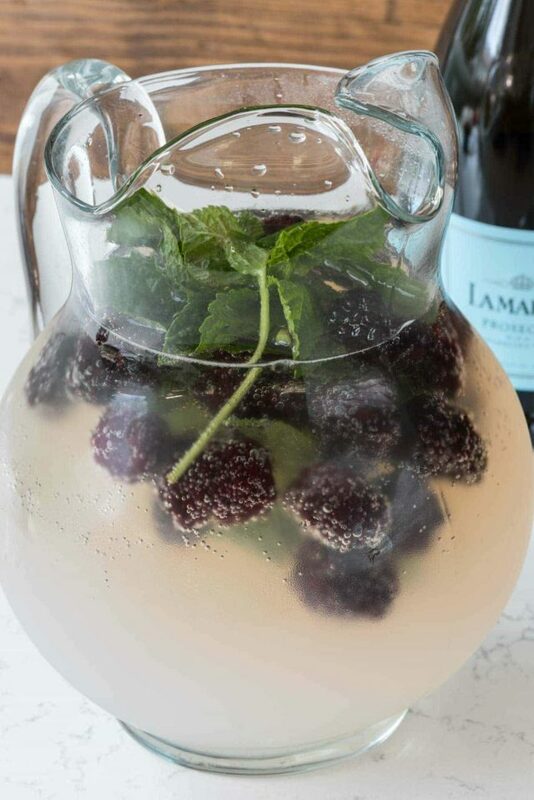 To make a pitcher: add all ingredients to a pitcher and stir. 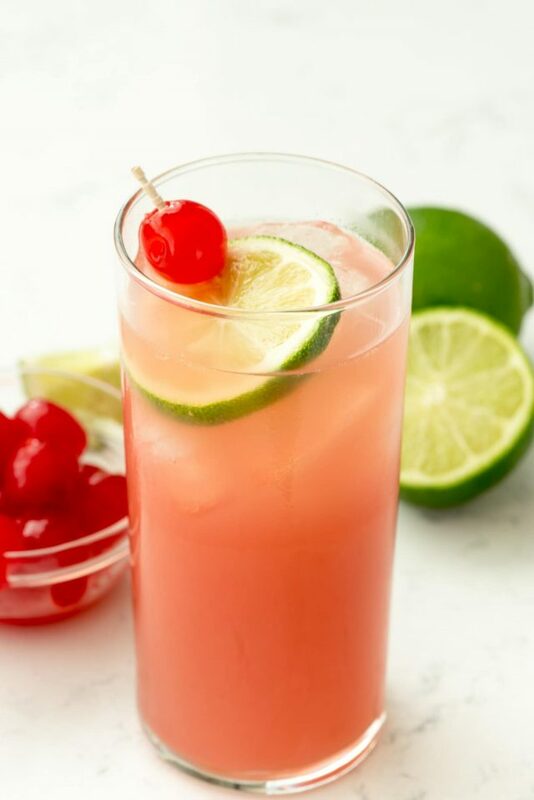 Add lime slices and cherries to glasses for garnish. 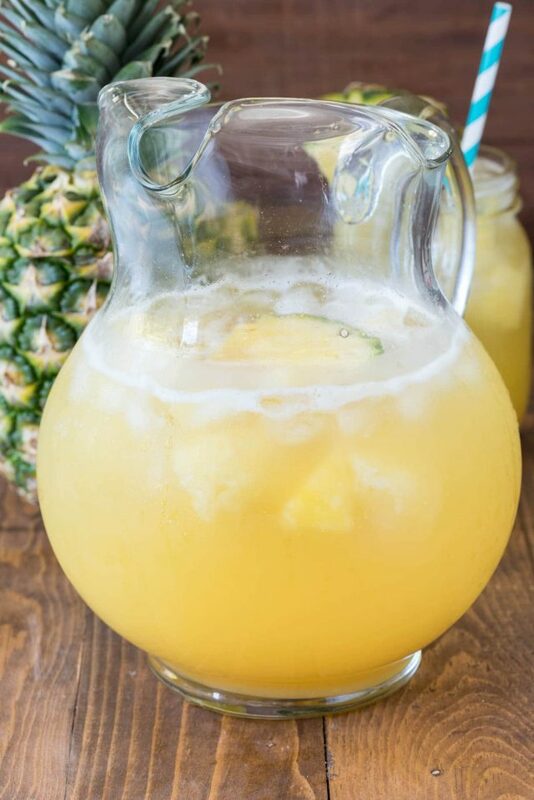 If you love party punch recipes like the Seabreeze cocktail punch, check out the ones below or try Tropical Rum Punch by Living Locurto or Cranberry Peach Prosecco Punch by From Valerie’s Kitchen. This looks delicious and I am all about it! Made this twice over 4th of July wknd! Great party/BBQ punch. This was a lovely cocktail, even though it is January and only 24 degrees here. We just pretended we ere on the beach! Thanks for a great recipe!